Following the failure of the Little Devil, the Hart-Parr Company came out with a newly designed model, the 12-25. This tractor was also known as the New Hart-Parr. After some improvements had been made, the tractor was re-rated as a 15-30A but was referred to as the “30.” It was built until 1922. The next new model was the “20” or the 10-20B. 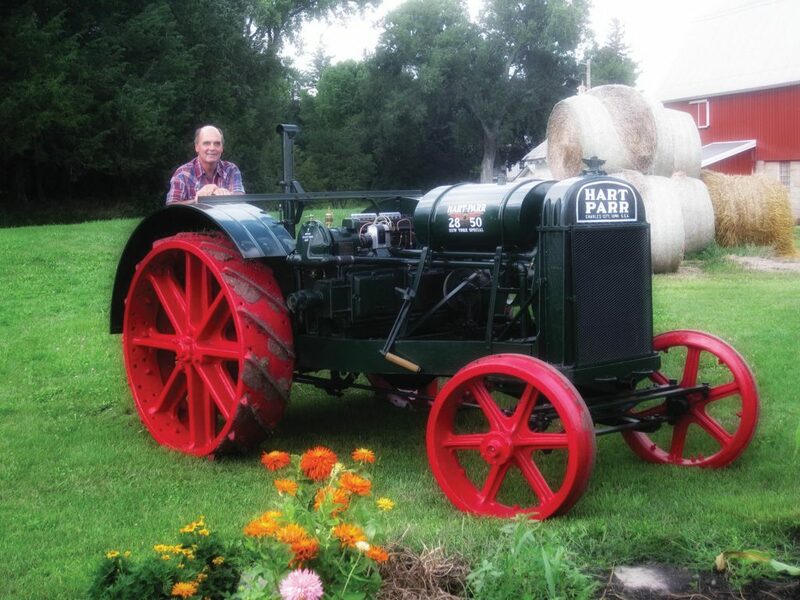 The tractor was a smaller version of the “30” and was powered with a 2-cylinder crossmotor. It was built until 1922. In 1922, the “30” was revised and became the 15-30C. The frame was made of channel iron, while the previous models used a cast iron frame. However, the engine remained the same. This model was built until 1924 when it was replaced by the 16-30E. In 1922, the “20” was also revised. It became the 10-20C and also used the channel iron frame. The engine bore increased on this model, while the stroke remained the same. This tractor was built until 1924. In 1923, Hart-Parr introduced the “40” or the 22-40. The “40” used two 10-20 engines side by side and was known as the Twin-Two engine. This model was produced until 1927. The 16-30E replaced the 15-30C and was built from 1924-1926. Few changes were made, but the 16-30 had closed spur gears, and the band clutch was replaced with a disc clutch. The 16-30E was replaced by the 16-30F in 1926. This model was built less than a year before it was replaced by the 18-36G. In 1924, the 10-20C was replaced by the 12-24E. It incorporated the same changes with the clutch and gears that the 16-30F had. It also used a new steering system with an enclosed gear set. This model was built until 1926. Production of the 18-36G began in 1926. It eventually evolved into the 18-36G & H and went through several changes before being retired in 1930. The tractor was classified as a 3-4 plow tractor. The 12-24G (1926-1927) began with an increased engine size. It used a two-speed transmission. It evolved into the 12-24H with a 3-speed transmission in 1927 and was produced until 1930. The 28-50 replaced the 22-40 and was the last true Hart-Parr model to be released. This tractor also used the twin-two engine with two 12-24H blocks side by side. The 28-50 had a two-speed transmission, but a three-speed could be purchased as an option.